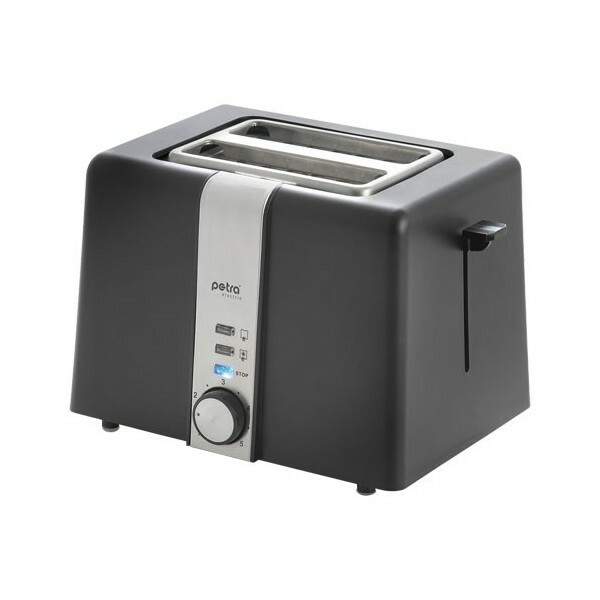 A modern toaster brands Petra is a device that is ideal for every kitchen. 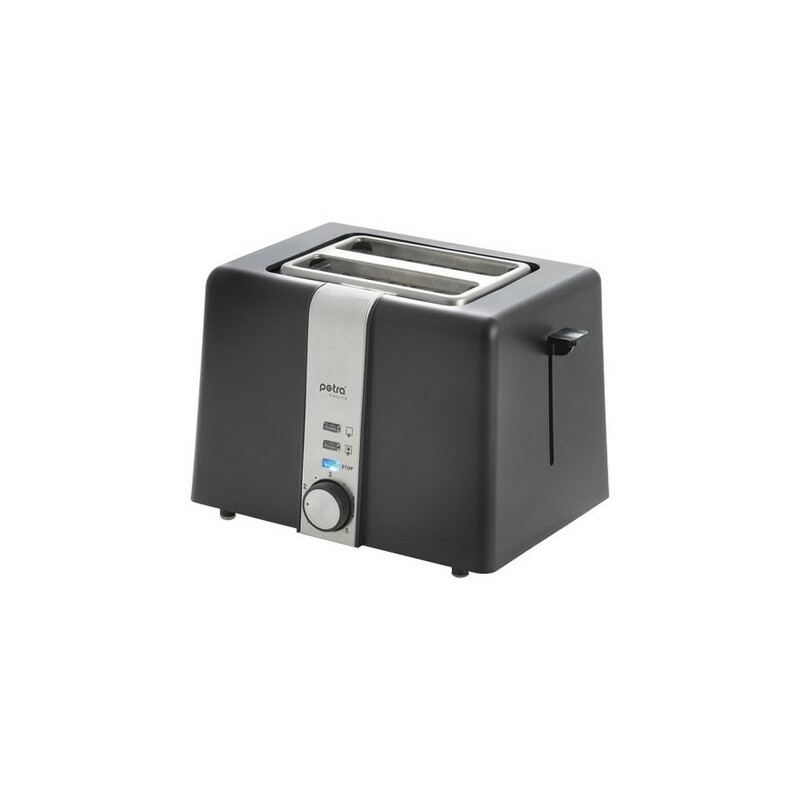 The toaster is fitted with a temperature sensor and extra-wide slots, which allow you to toast two toast at one time. Thanks to the dial you will be able to adjust the browning control slices, a backlit buttons allow you to select the desired mode: heating, cooking or defrosting bread. This kit contains a special bun warming bread crumb tray and practical. Toaster brands Petra is a functional device, which easily prepare your favorite sandwiches. 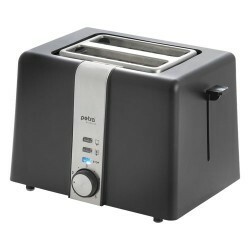 Device has: 2-slice automatic toaster with a wide toasting slot. Housing of heat insulated plastic with a designer cover of brushed stainless steel. Toasting timer electronic with temperature sensor. Directly adjustable browning degree via a control knob. Automatic centering of the bread. Illuminated function keys for heating/retoasting, defrosting and stopping. Removable attachment for rolls. Drawer for crumbs. Area heater. Cover Housing of heat insulated plastic with a designer cover of brushed stainless steel.